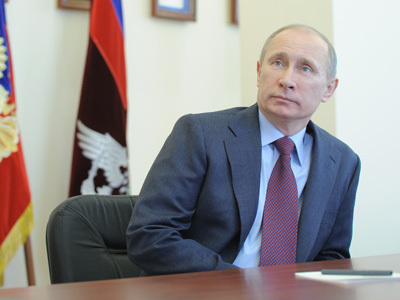 In his third article in as many weeks, Prime Minister Vladimir Putin provides his views on a rapidly changing global economy, and what Russia must do to stay in the race. The piece, published on Monday in the newspaper Vedomosti, provides a multifaceted look at the global economy – from the shakeup in the role of global leadership, to the hazards of a deteriorating natural environment – and aims to prove that Russia will be in competent hands should voters deliver Putin back into office on March 4. Clearly, the Prime Minister is not aiming for second best in the race for global leadership on the economic front. Indeed, with the implosion of the US economy in 2008, which sent powerful shock waves across an unsuspecting planet, the new challenges confronting the global economy demand fresh voices and new leaders. “Never before has the struggle for leadership in global competition been so acute, and we are now seeing countries which, only yesterday, seemed to hold unshakable positions starting to yield to those who until recently were regarded with condescension and disdain,” he wrote, in what appears to be a thinly veiled reference to the United States, contrasting its worrisome position with regards to rising competitors on the global stage, notably China and Russia. 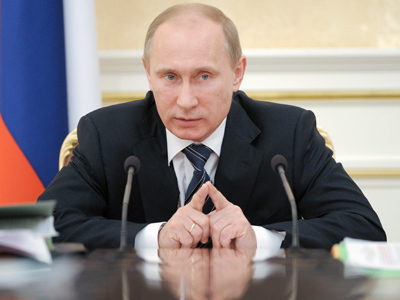 Putin then mentioned the double-edged aspect of the Russian economy. One the one hand, Russia’s abundant natural resources have been a blessing to the country: rich oil and gas reserves, among other resources, have helped fund an economic revival, as well as keeping Russia center stage in the realm of geopolitics. On the other hand, Russia’s resource addiction looks like a curse – too much of a good thing – because it hampers a much-needed diversification of the economy. Excessive protectionism has always led to stagnation, a low level of quality and high prices, he added. In order to build a shiny new economy, Russia must constantly work toward giving up its “technological dependence,” a byproduct of the Soviet times and its “conditions of isolation” that caused Russia to fall behind in the global economy, Putin explained. 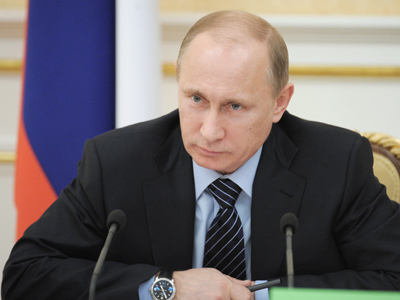 Today, Russia must reverse the trend of the past and assume an eventual top position in the global economy. “Russia must assume the most important place in the international division of labor not only as a supplier of raw materials and energy, but also as the possessor of constantly advancing state-of-the-art technologies – at least in some sectors,” Putin advises. 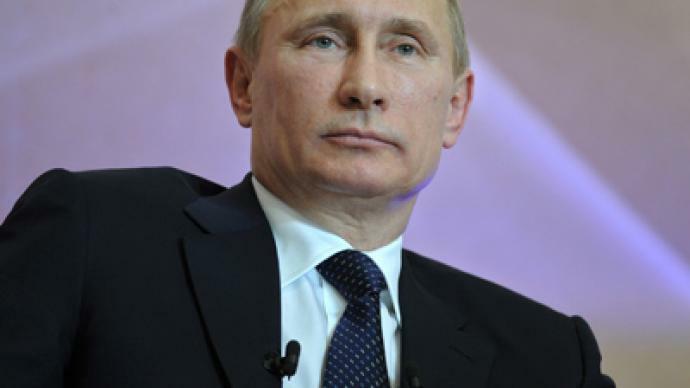 Russia will pay a high price if it fails to adapt itself to the changes. The Prime Minister, who guided his country out of the economic woods during his first presidential term of office in the 1990s, says it is important that Russia choose its priorities wisely. 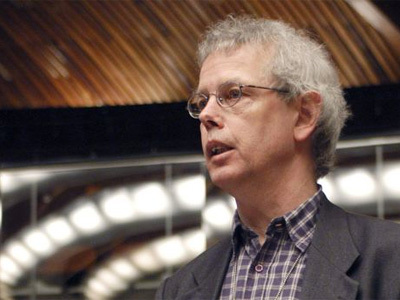 “In order to restore technological leadership, we need to carefully choose our priorities,” he advised, before mentioning specific economic sectors (pharmaceuticals, high-tech chemistry, aviation, communication technology, nanotechnology, as well as “traditional leaders” in the nuclear and space industries). Putin answers his question by pointing to the creation of large state-owned corporations and vertically-integrated holding companies, such as Rostekhnologii, Rosatom, United Aircraft Corporation and United Shipbuilding Corporation. Putin proves he is no stranger to the complexities of globalization as he explains the need for competitive corporations to cut a swath through the dense economic jungle. In this section of Putin’s article, he stresses the importance of competition in giving businesses an incentive to evolve, while also mentioning the challenges that Russia’s WTO membership may cause. On this point, Putin mentioned the “supply side of innovation” together with Russia’s tradition of excellence in education, especially in the sciences. 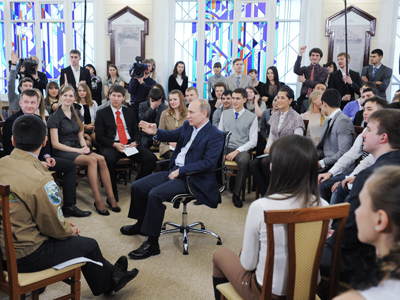 Russian universities is the place where the innovative impulse must first germinate and grow. Putin provided an example of Russia’s growing automobile production facilities, which are used to assemble foreign cars on Russian territory. Putin then touched upon two sectors of economic development that he believes have gone neglected for too long: property and road development. On the subject of highway and road construction, Putin pledged to support large infrastructure projects – but not just those that center around the major metropolitan areas, but also in Siberia and the Far East. Putin said it is a truly paradoxical situation that Russia, with its vast territory, is experiencing shortages of land available for construction. In closing his article, Prime Minister Putin touched upon the agricultural sector, which has shown some respectable growth rates in recent years.